Timber floors are one of the most common surfaces found in the home and a lot of people wish to have this kind of floor tiled. 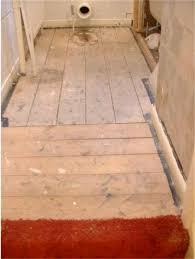 Timber tongue and grooved floor boards weyrock and chipboard are all types of timber floor. All of these wood surfaces will have some kind of movement due to them not being fixed properly or due to expansion and contraction which comes from atmospheric temperature changes. 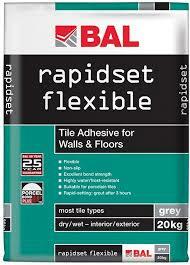 This will certainly cause problems when tile is placed on the top, usually resulting in tile failure. First thing to do is to reinforce the floor, this can be done by overlaying sheets of plywood, British standards recommend 15mm ply to be used but 12mm is more commonly used. The plywood overlay needs to be screwed down at least every 300mm centres, what this will do is stop any bounce making the floor more stable, however you will still have the lateral movement due to expansion. When applying more than one sheet of ply to the floor, make sure that you leave a 2mm gap between the boards. A better way of securing a wood floor would be to use cement board instead of a plywood sheet. Hardibackker, Wedi or No More Ply are better options as 6mm cement board can be applied to strengthen the floor and the cement board does not have the same expansion problems the ply would have. Once the cement board has been secured to the floor the floor can then be tiled with less possible problems arising. UK Pro Tiling offer fast track hands on tiling courses and cover all the background preparation procedures in detail.